Not every yard is a perfect, flat expanse. Some are studded with hills, and may feature a significant grade that makes installing your preferred landscaping difficult. Such features can also make using your yard for lounging and entertaining a challenge. On the other hand, flat yards can look a bit boring without vertical variety to break up the space and add some visual appeal. In either case, you have options to turn that sloped grade in your Sioux Center and Rock Valley, IA residence or the flat land in your Sioux Falls, SD backyard into a functional and attractive outdoor area, and the way to do it is with retaining walls. At Outdoor Elements Inc., we know how important it is for you to have an outdoor space that allows your family to relax in comfort or entertain in style. When your yard just isn't configured to meet your needs, it's time to take matters into your own hands. The team of talented designers and expert builders at Outdoor Elements Inc. can provide the landscaping, hardscaping, and other elements needed to transform even the most inhospitable and uncooperative yards into the inviting and extraordinary outdoor living space you crave. 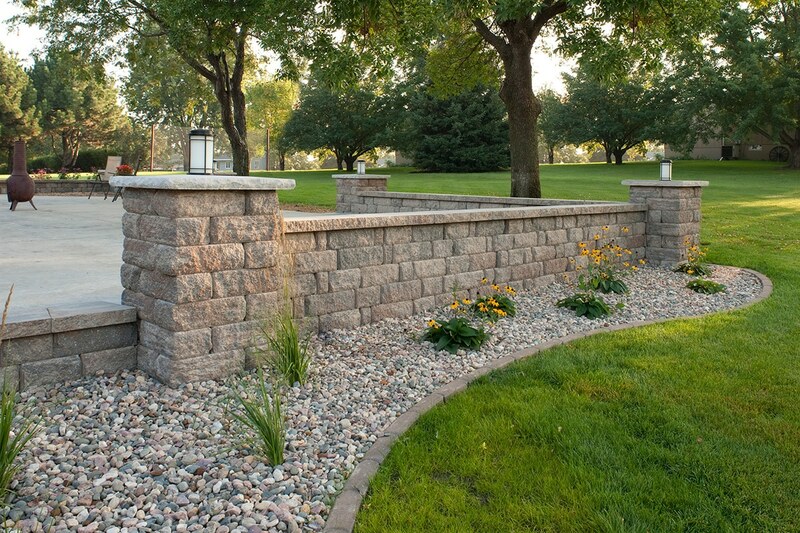 Retaining walls may play an important role in the process. Retaining walls are often implemented for practical purposes, such as keeping slopes from falling into your yard. If you're dealing with a steep grade in your backyard that prevents you from using the space, retaining walls could tame your yard into terraces perfect for planting a garden or setting up a patio lounge, just for example. By cutting wide platforms into the hillside and shoring them up with retaining walls, you can turn otherwise unusable yard space into extra square footage. Even if you're not dealing with a steep hill in your yard, retaining walls could come into play as part of your overall design. Retaining walls can also help you to add vertical variety to your yard, as well as delineate areas of landscaping and hardscaping. You could, for example, add berms to raise up certain areas of your yard as a way to break up the space and add visual appeal. With retaining walls in place to keep earth where you put it, you can add large planter beds for trees, flowers, or even additional grassy expanses, or put in patio pavers to create a raised platform for entertaining. 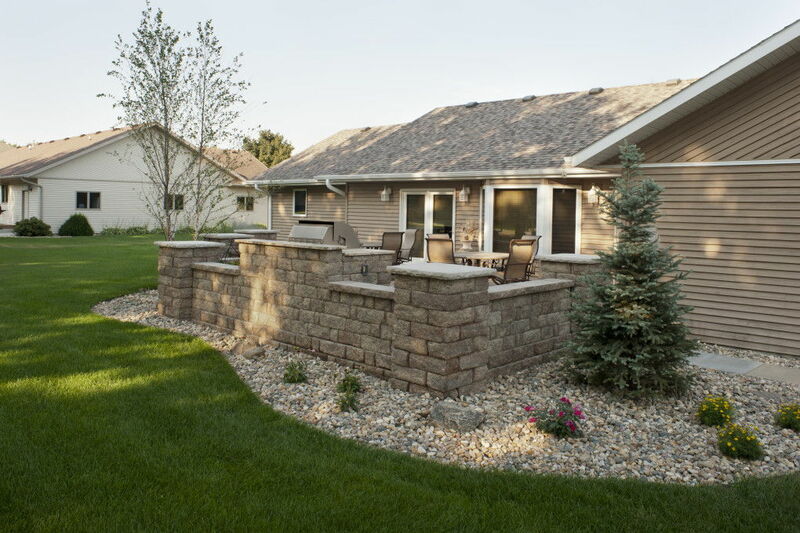 Retaining walls are a great way to make a sloped yard more usable or a flat yard more interesting. Every homeowner wants to get the most from outdoor living spaces, and this means finding ways to work with the yard at your disposal. Retaining walls provide more than just utility. They also allow you to mold your space in aesthetically pleasing ways. 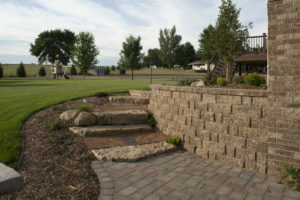 Whether you're struggling to deal with a significant grade or you simply want to spice up a flat and boring backyard, let Outdoor Elements Inc. provide innovative solutions to your particular problems with the landscaping, hardscaping, and retaining walls needed to create your perfect paradise. Contact us now at alex@outdoorelementsinc.com to get started.